The Griha Pravesh ceremony is a traditional Hindu religious ceremony which has to be done on the first entry into a new house. It is actually done on the first day of one’s living in the new home. In other words, it is a house warming ceremony which involves pujas, archanas, yajnas and offerings. It is regarded as a very auspicious occasion and the date of the Griha Pravesh is finalized according to the astrological charts of lucky and unlucky dates and time, which is popularly known as the ‘Shubh Muhurat’ or the ‘auspicious time’. Proper and reliable astrological consultations are made and then the date is finalized for this auspicious occasion. The purity of the almanac or the Panchag is also taken into consideration. According to the ancient religious Hindu scriptures, Griha Pravesh is basically of three types – the Apoorwah, the Sapoorwah and the Dwandwah. The first entry to an entirely newly built house on a land which has been also newly selected is known as the Apoorwah, which means new. The Sapoorwah Griha Pravesh involves the entry into a pre-existing house which is generally done on buying a secondhand house, or after migration, or shifting from another town or country. The Dwandwah Griha pravesh means re-entering a house after it is renovated or reconstructed. The reasons for renovation or reconstruction may be anything from damage due to fire and earthquake to floods or cyclones. The scriptures have strictly laid down the rules for the Griha Pravesh ceremony. The ceremony should be done only at the auspicious time that has been laid down by the astrological charts. It is necessary that the Apoorwah griha pravesh should follow the ‘Muhurat ‘or the ‘auspicious time’ strictly. Whereas for the Sapoorwah griha pravesh ceremony, the purity of the Panchag is more important. This later rule has also been laid down for the Dwandwah griha pravesh as well. 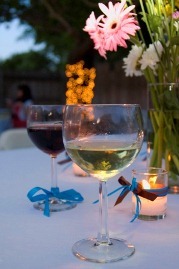 Though this ceremony can be done at any time – may be daytime or at night – but it is more preferable during the daytime. The scriptures even say that a house is ready for the ceremony only after certain things have been completed. For example, it is necessary to have all the doors and windows of the house to be fitted and the roof of the house also should also be covered. Only then one can perform the ceremony of Griha Pravesh. Another important aspect is to perform the Vaastu puja in which the Vaastu Devta is worshipped and offerings are made to the priests. The priests and the ascetics are given lavish feasts. This ritual is done outside the new home. In this ritual, a copper pot filled with water having nine types of grains and a coin has a coconut kept on top of it tied with a red thread called Moli is taken into the house after the priest performs the Puja. This pot is placed near the ‘havan’ or the sacred fire which is lighted to perform the ‘Griha shanti’, or ‘peace in the house’. The havan is performed to remove the ill effects of the planets and also to throw out all the negative vibrations from the house in order to have a peaceful atmosphere in and around the house and its living members. For some people, Griha Pravesh ceremony proves to be a turning point in their lives. A friend of mine shifted with his whole family from a rural village of India to the developed city of Indore, in Madhya Pradesh, some years back. Life at the village was very hard for them and they had to struggle for their living. 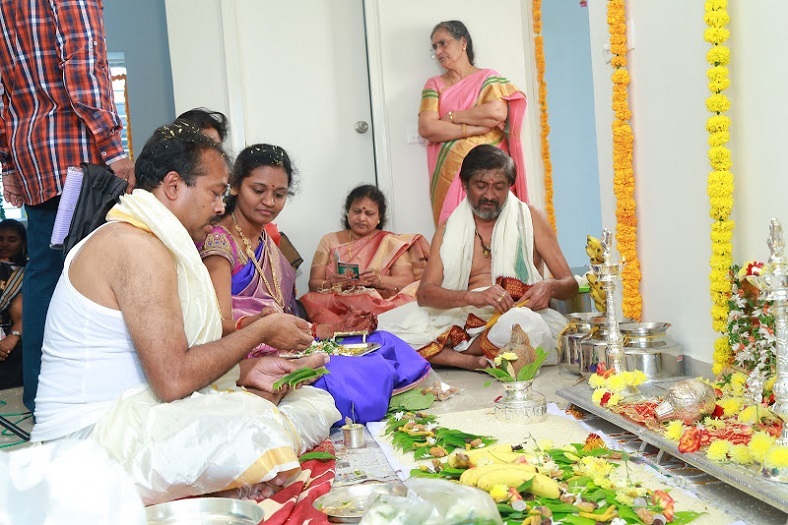 The hard times changed for them when they took all the risk and shifted to their new home in the city after performing the Satyanarayana Puja, which is considered very auspicious on the occasion of entering to a new house. Crossing the hurdles of difficulty and hard time, today my friend’s family is one of the richest and renowned families of Indore. Some people say that this is definitely the result of the rituals performed at the Griha Pravesh ceremony which must have been done at a perfect time and date. So, luck also affects many traditions in being lucky and fruitful in life. According to me, the Griha Pravesh ceremony certainly has effects on the lifestyle and social life of a family.